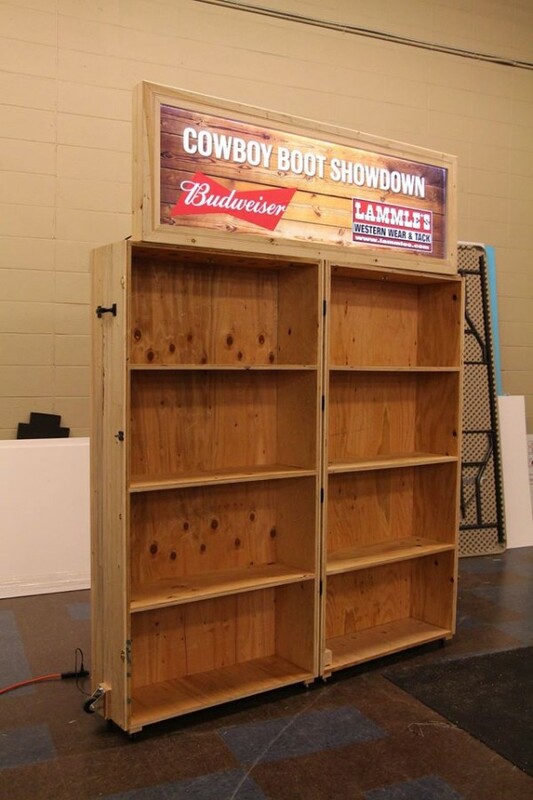 Leading up to the “The Greatest Outdoor Show on Earth”, Budweiser partnered with Lammles & saw a fantastic opportunity to show it’s consumers just how to Step Into Stampede. Mosaic came to Nexus Exhibits, looking for a mobile display that was easy to set up & take down. Within just 2 weeks from concept to completion, we designed, fabricated and produced a custom case that has drawn a lot of positive attention and is easily mobile. We are happy to hear that their campaign has been such a huge success & are very pleased with the results! Monsanto came to us with the need to visit their growers in five communities across Western Canada to showcase their latest technology in canola, corn and soybeans. 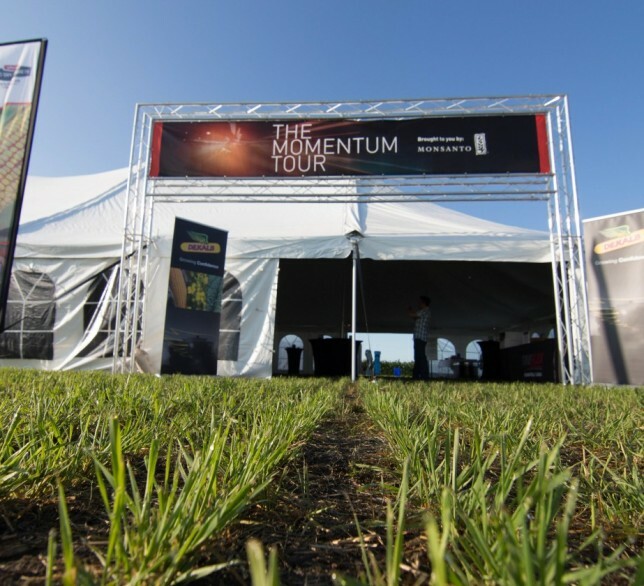 Nexus worked closely with the team at Monsanto to plan the logistics, site plans and layouts for each event. We produced the graphics and provided the rental items for each venue as well as installation, logistics and event support at each event. 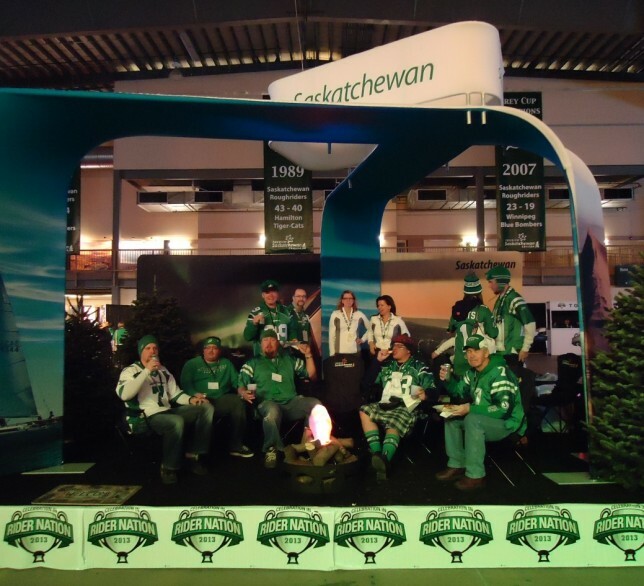 This solution that we created for Saskatoon Airport Authority was also used as a focal point for the Rough Rider event, utilizing their exhibit display at their indoor event. 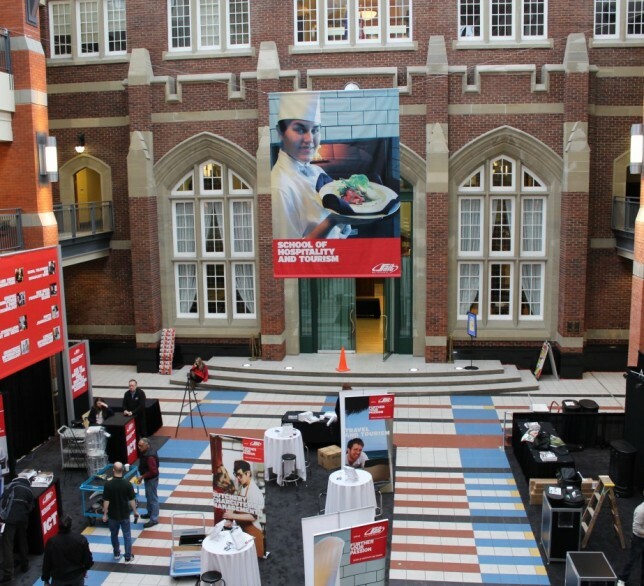 SAIT came to us with the need to create an inviting and informative solution for their annual open house. The solution needed to embody the culture of SAIT, while being informative and eye catching for potential students, and visitors. To achieve this we utilized large hanging banners to individually showcase each of the programs offered at their institution, utilizing their brand colors and graphics to create an aesthetically pleasing, representative and inviting space for their indoor event. 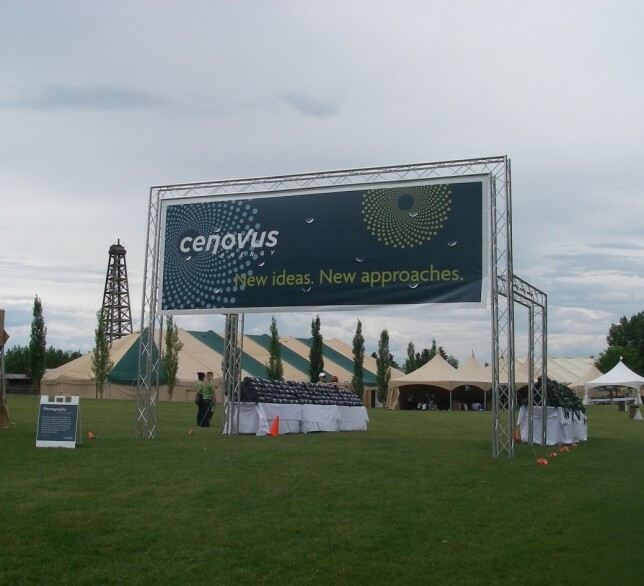 Cenovus approached us with the need for signage and graphics for an outdoor event designed to celebrate their rich corporate history, while also serving as a thank you to all of their internal employees. We crafted signs with fun tidbits about the company’s history, as well as branded the entire event with their logo and brand message. It was definitely an occasion to remember.